Intellectually, Frankie was not at all the near-criminal mastermind who created the Fish Liberation Society, and who will, as an adult, probably go on to head the CIA, direct action movies, design rocket ships, or possibly (if she goes astray) preside over a unit of organized criminals. I loved this story of the girl who tries to turn prep-school patriarchy on its head. She’s not allowed to join the secret society her dad was part of, the one he’ll barely talk of. When her boyfriend starts excluding her too, she finds the perfect way to take charge. She manages to show that girls have just as much to offer silly pranks as the boys do. But will she ever get credit for any of it? Frankie is forever the strategist. Not just with her secret, secret society shenanigans but also in her love life. Sometimes she comes across a bit needy but she can see the unfairness in how the boys act, how they expect their girls to act and what they are excluded from. She may start off needy but she learns how to play those around her. And being with him made Frankie feel squashed into a box - a box where she was expected to be sweet and sensitive (but not oversensitive); a box for young and pretty girls who were not as bright or powerful as their boyfriends. A box for people who were not forces to be reckoned with. I liked Frankie, probably more than I liked the privileged characters in We Were Liars. She does have an amazing life planned out for her if she wants it, but she also sees what she can’t have and tries to seize it. She likens the school to a panopticon; the theoretical prison where everyone behaves as the believe they're being watched. Everyone follows society's norms and school rules. Everyone is paranoid to be seen not conforming, that no one is ever just themselves. E. Lockhart is now firmly on my must-read list. 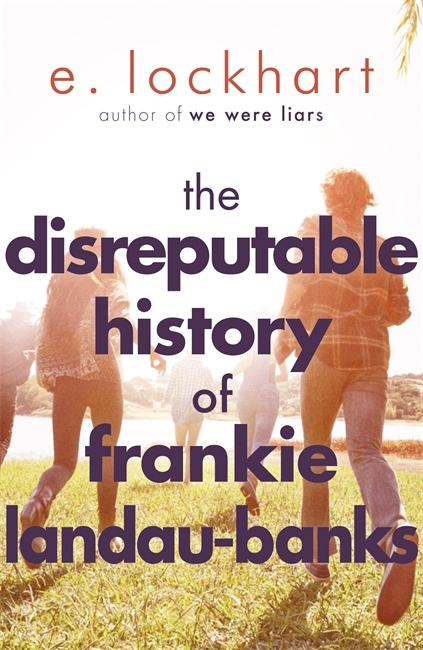 The Disreputable History of Frankie Landau-Banks is published by Hot Key Books and is available now in paperback and ebook editions. Thanks go to the publisher for providing a copy for review.